Tattoo Machine Kit, Permanent Makeup Tattoo Machine Kit, Tattoo Art - High quality Taiwan Tattoo Machine Kit, Permanent Makeup Tattoo Machine Kit, Tattoo Art provides by Jean-Modern's Ind. Co., Ltd.
Professional Make-up Hygienic Tattoo Machine Parts of the Machine can be Change for maintenance, and lengthen the Life-Span of the machine. Disposable Needles, Needle caps, Needle Sleeve and Needle tube are packed individually. Special device prevents the Back-Flow of blood and dyes, prevent cross-infection of the bacteria. Our tattoo machine is equipped with a variety of needles. 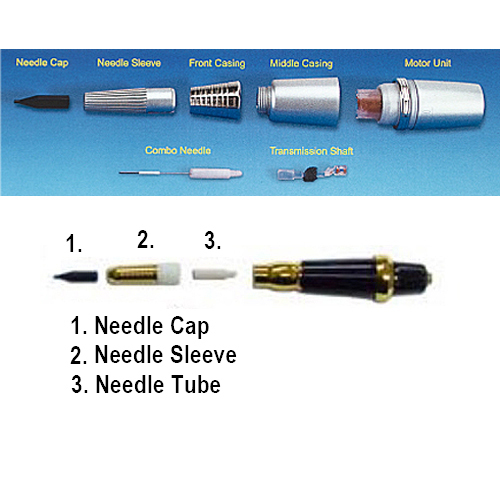 Disposable needles, needle caps, needle sleeve and needle tube are packed individually. Each needle is pre-sterile with E.O. Gas in individual blister pack. (Yellow indicator for thorough sterilization, Without this yellow indicator on packing may possibly be imitation of products which have not been sterilized). Suitable for eyebrows, eyeliner and lip. Brand-new design, light in weight, practical in use, meet all sanitary standards and regulations. 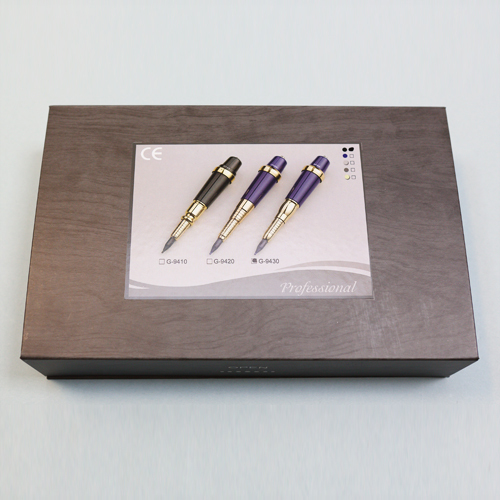 Light body, the power pen weights only 50 grams. Patents achieved in Taiwan, Mainland China, U. S. A.
Tattoo Machines conform with CE Standard. G-9420 Permanent Makeup Tattoo Machine Kit, Disposable needles, needle caps, needle sleeve and needle tube are packed individually. Professional and Durable. Good Quality, Beautiful Appearance, Attractive design. OEM and ODM service provided.